Hello out there in blog world! Today is the second installment of my ongoing story based on pictures that you voted on! The pictures that were voted on can be found here. The first installment of the story can be found here. At first I was going to write separate stories for each of the winning pictures (there was a 3 way tie!). Then as I wrote the first story I knew I needed to keep going with it. So I decided to incorporate all the pictures in one ongoing story. Each segment would be posted on Tuesdays. Smart hey? Well we’ll see! Now on with the story. The rain had finally stopped. Amber folded up her umbrella without breaking stride. She wanted to be home. Safe and warm and dry. She slowed her steps to one of a fast walk. Her shoeless feet hurt and she was soaking wet, but she kept walking. Every now and then she turned and gave a quick look behind her. Still nothing. She just wished she would see some people. Amber thought there would be less chance of the man she knew as Donnie doing anything to her if there were people about. She was coming up to the park that was a few blocks from her apartment. Her steps quickened as she knew there was always someone at the park, it was a popular place to sit and visit. Amber also felt relieved that she was that much closer to home. Amber hadn’t thought much about how she would get into her apartment, as she left her purse and keys at the shop. Maybe she could tell the manager that she lost her keys and he would let her in without too many questions. After that, well she would think of something. Edith and Myrtle sat on their favorite bench in the park. It had been raining earlier but now the rain had stopped. The two women had been fast friends since the second grade. Now they were older, grayer, but still best friends fifty years later. Every day they took a walk through the park. Rain or shine the two friends never missed a day. They liked to sit and talk about family and friends. Or other people in the park. They loved to gossip, though they never called it gossiping. They were just catching up with each other. After all, talk amoung life long friends couldn’t be gossip they said. Even if they sometimes talked about people they didn’t even know. The two women grew up together, never lived more than a block away from each other. They married in the same month, the same year. Edith had three kids, Myrtle two. When Edith lost her husband last year, Myrtle was by her side through it all. She comforted and helped with the funeral arrangements. Their kids grew up together and used to joke about their mothers finishing each other’s sentences. That’s how close they were. Edith was the first to spot Amber. She recognized the young woman as a tenet in the same apartment building she lived in. Amber lived on the floor above Edith, but the older woman knew all about her. Edith knew about all the people in her building. And what Edith knew, Myrtle knew. Amber sat on the park bench. There were people around, even though it had rained. She was so very tired, she just had to sit a few minutes. Amber felt safe enough with other people around to rest before she ran the next few blocks home. She kept her eyes circling the park, on the lookout for Donnie. She wanted to make sure he wasn’t around when she sprinted to her apartment. She spied the two old ladies purposely moving towards her. She recognized one of them as the tenant below her in the apartment building where she lived. What was her name again? Edith! That was it. She had talked to her a few times, seemed like a nice old lady. A bit nosey, but then wasn’t most old ladies? Amber felt she was watching a tennis match as her head swiveled from one lady to the next. Fascinated she listened to them finish each others sentences and almost forgot Donnie and the danger she was in. She was soon brought back to earth as she spotted a man next to a tree. It was Donnie! She was sure of it! Even though she had just caught a brief sight of him in the alley behind the store, she knew in her gut it was Donnie. It didn’t seem he had spotted her yet, as Myrtle and Edith were momentarily blocking his view of her. That had to be Donnie though. Amber was positive it was. The man had stopped, he looked like he was as out of breath as she was. He stood with fists on hips and stood looking around the park. There was a frown on his face as he dug a cell phone from his jacket pocket. No doubt calling for backup. She had to get out of here! Glancing up at the old ladies, she thought quickly. Donnie would be looking for a single female. With an umbrella. Not three women and only the two older ladies with umbrellas. 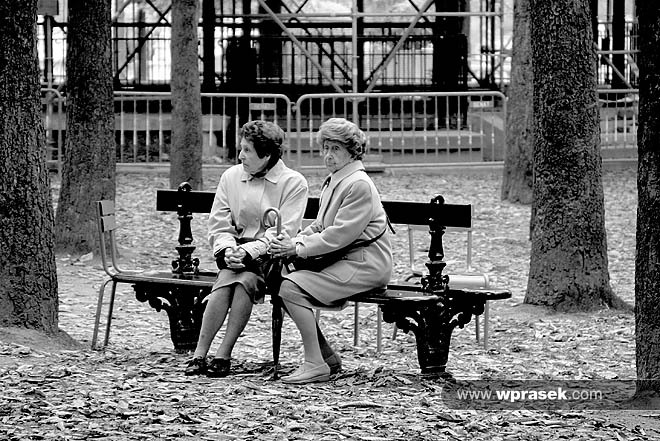 As she stood to accept Myrtle and Edith’s offer of help, she casually pushed her umbrella off the back of the park bench where it fell to be hidden within the pile of fall leaves. “Ladies, I would be so grateful for your help. Please may we go home now?” Amber asked as she hooked her arms in theirs and steered them toward her apartment building. She kept the ladies close to her side as they walked out of the park. She glanced back briefly and watched as Donnie walked toward the other end of the park, cell phone to his ear. He didn’t look happy either. “Thank you ladies for your offer of help. The trouble I’m in might be dangerous and I couldn’t ask you to put yourselves in danger.” Amber told them. She would figure out what to do next herself. As the two old ladies reminisced about their youth, Amber half listened while she tried to think what she could do to keep Donny and his boss Alesky from finding her.